Early in the morning Kesava with his sakhas would take the calves into the forests of Vrndavana, traveling through the dvadasa-vana, twelve forests, and dvadasa-upavana, twelve sub-forests. There he would learn how to serve Srimati Radhika by twelve rasas. He would sometimes learn in Surya-kunda or Radha- kunda, sometimes in Chandra-sarovara, Mana-sarovara, Kusum-sarovara, or Prema-sarovara. He would sometimes train in Kamyavana, Biharvana, and sometimes in Vrndavana. Anywhere Keseva would go, He would secretly learn these services while the Vrajavasis would think He was only tending his cows. This is what is called gopa-lila, or gopi-lila; secret pastime (lila). This is also called Govinda-lilamrta. 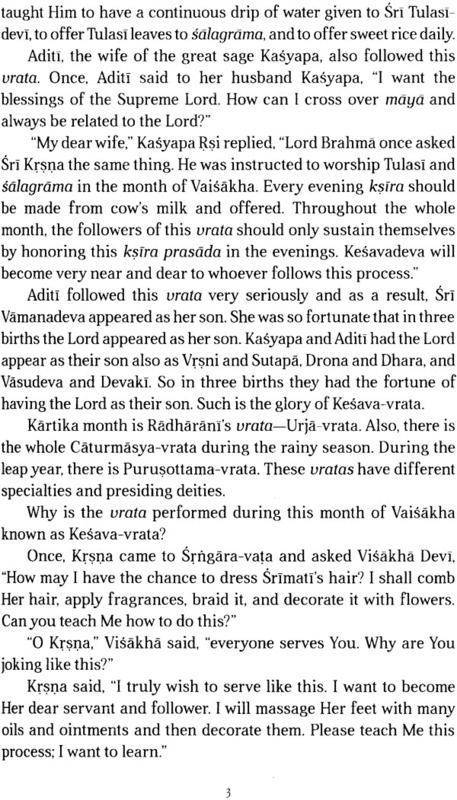 Srila Rupa Gosvami has explained Vaisakha month belongs to Visakha Devi. She is the siksa-guru of all Vraja mandala. She teaches the Vraja-devis, manjaris. sakhis - everyone. In this month Krsna took shelter of Visakha Devi requesting of her, "Please teach me how to serve Radharani. What are the nuances of this service?" In Srngara-vata Visakha Devi very lovingly taught Kesava these secrets. How to comb Srimati Radharani's hair, how to braid it, how to fan Her. He learned how to properly apply candana, mahendi, kumkum, alta and alaka. He learned the art of hand decorations and feet decorations. He learned techniques for massaging head oils and how to properly dress Her. He learned how to wash Her clothes, how to dry them, and how to properly store them. He learned about massage and about flower decorations and about preparing kunjas. With fresh kadamba buds adorning His ears. strings of fully blossomed malati flowers forming a crown upon His head. and a brahmana thread of slightly opened and charming jasmine flowers slung around His neck. 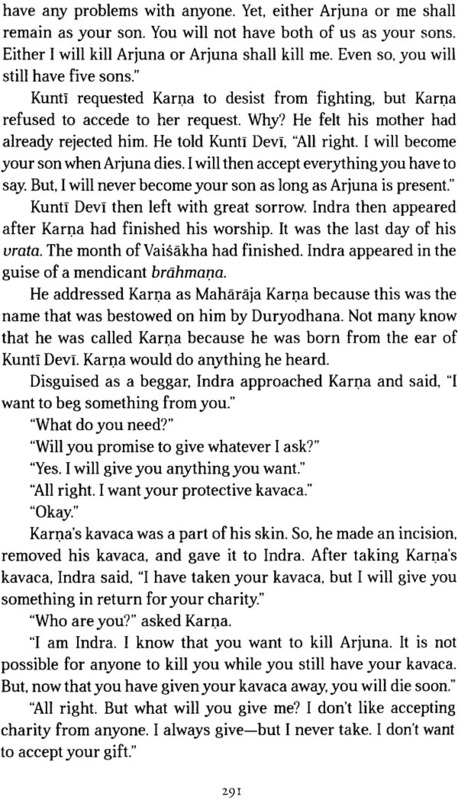 He returns from the forest to the village of Vraja - I worship that Sri Kesava. Coming back from the forest to the village ofVraja, He happily calls His straying surabhi cows: "Pisangi! Manikastani! Pranatasrngi! Pingeksana! Mrdangamukhi! Dhumala! Sabali! Hamsi! Vamsi! Priya!" I worship that Sri Kesava. Coming back from the forest on the pathways of Vraja, He laughs and jokes with His affectionate friends, who are all expert in the pleasantries of jesting, dancing and singing, and who are splendidly dressed and decorated - I worship that Sri Kesava. His cheeks brilliant with beads of perspiration, His face decorated with pictures drawn in mineral dyes from the hill, and His splendid curling locks of hair deriding the attractiveness of a swarm of black bees restless for honey, He returns from the forest to the village of Vraja - I worship that Sri Kesava. 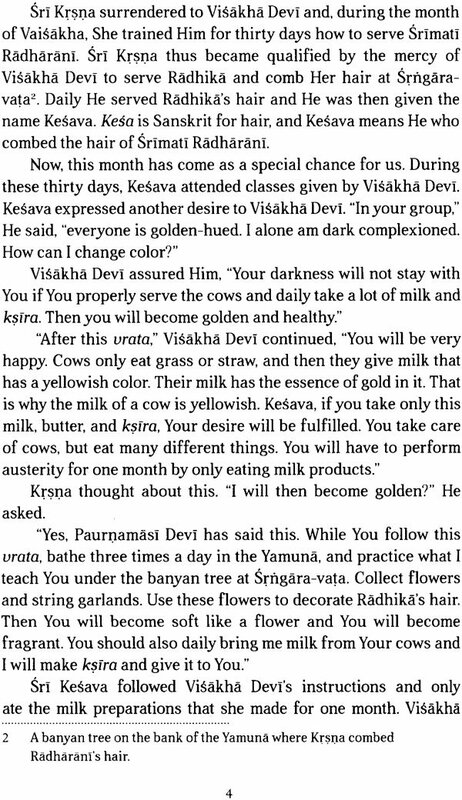 As He returns from the forest to the village of Vraja, with the sweet sound of His flute He calls the surabhi cows who, eager to see their young calves, break the ground with their heavy, dancing hooves - I worship that Sri Kesava. Coming back from the forest to the village of Vraja, He beautifies the path with His footprints. His garland of forest flowers is colored by the dust kicked up by the cows running ahead of Him and His garments and peacock feather move with the waves of the wind. - I worship that Sri Kesava. With the playful and sweet music of His flute elating all the house-bound gopis, whose bodily hairs rise up with delight, and also making His mother Yasoda joyous at heart He comes back from the forest to the village of Vraja - I worship that Sri Kesava. As He returns from the forest to the village of Vraja, the gopis mount the roofs of their palaces and with garlands of dancing glances and gentle smiles greet Him, whose vision drifts over their breasts like a bumblebee hovering amongst a cluster of flowers - I worship that Sri Kesava. May Visakha's friend Krsna make happy for all time those who attentively read these eight poetic verses, which are a great festival of bliss for all the gopis, by making the readers' intelligence shine with unwavering love for His lotus feet. The manjaris helped Kesava practice every day and taught Him many things. He learned the art of decoration arrangment and the proper use of sandalwood, kumkum, kasturi, goracana, as well as various musical skills, singing, dancing, posing, acting, and other arts. 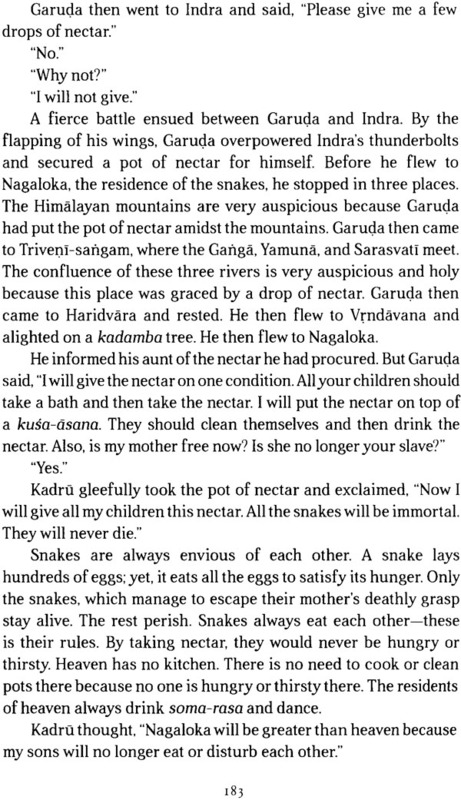 Early in the morning Kesava with his sakhas would take the calves into the forests of Vrndavana, traveling through the dvadasa-vana, twelve forests, and dvadasa-upavana, twelve sub-forests. 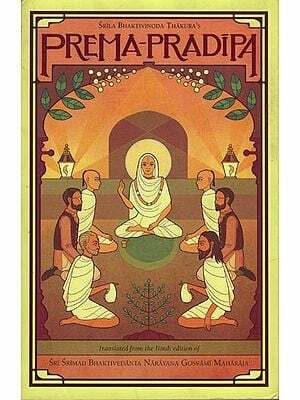 There he would learn how to serve Srimati Radhika by twelve rasas. He would sometimes learn in Surya-kunda or Radha- kunda, sometimes in Chandra-sarovara, Mana-sarovara, Kusum-sarovara, or Prema-sarovara. 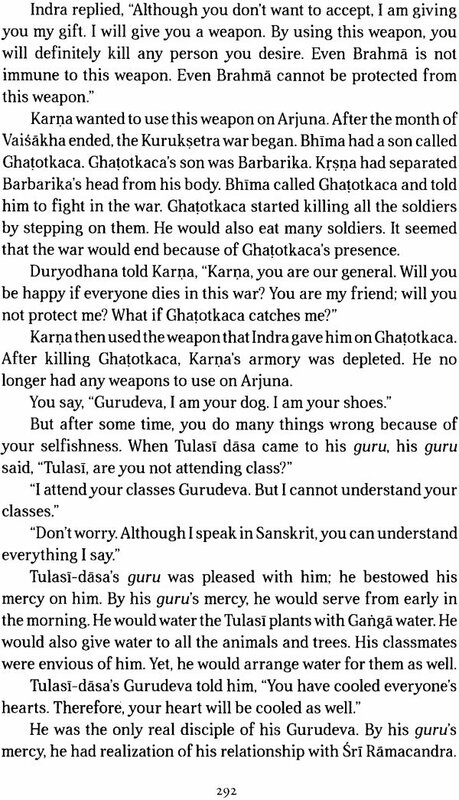 He would sometimes train in Kamyavana, Biharvana, and sometimes in Vrndavana. 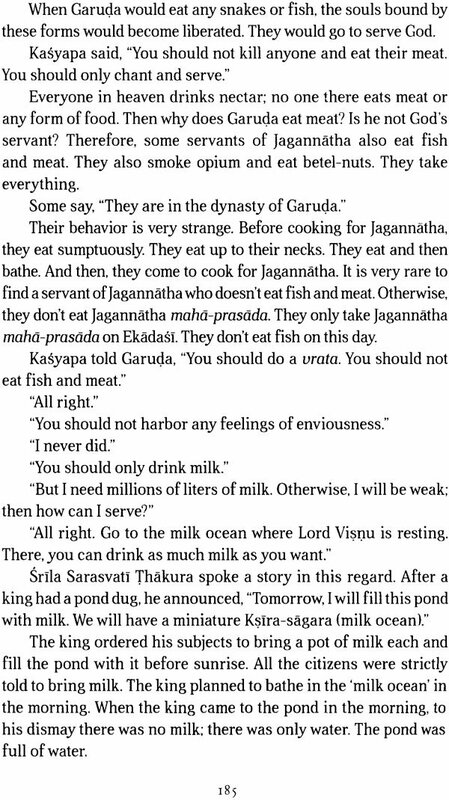 Anywhere Kesava would go He would secretly learn these services while the Vrajavasis would think He was only tending his cows. This is what is called gopa-lila, or gopi-lila; secret pastime (lila). 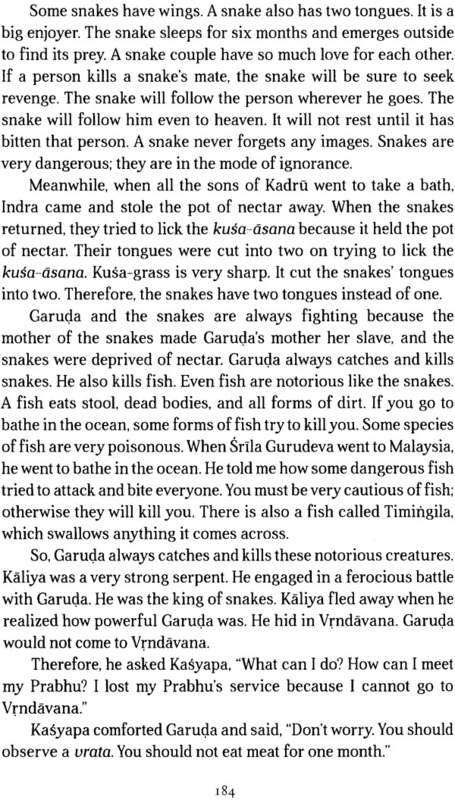 This is also called Govinda-lilamrta. 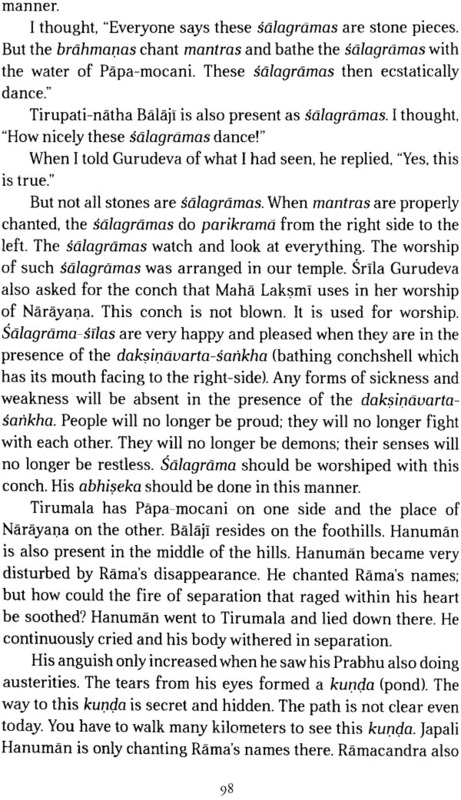 Until he became seven or ten years old the Vraja-devis taught him his tasteful talent for serving Srimati Radhika. After his training was completed he spent 100 years in Dvaraka Puri and in Mathura trying to teach others these arts. 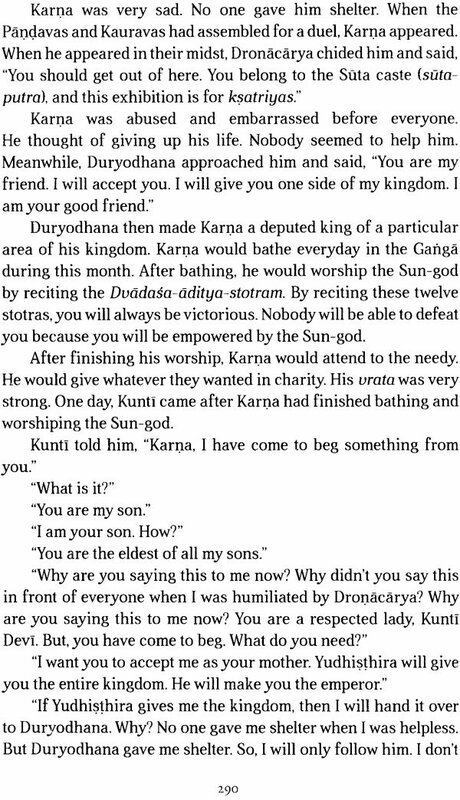 In Kuruksetra he called the Vrajavasis to be merciful and bless the followers of Kesava to have spiritual taste in these matters. Afterwards, in Kali-yuga, He took sannyasa and gave up everything in order to teach these lessons. 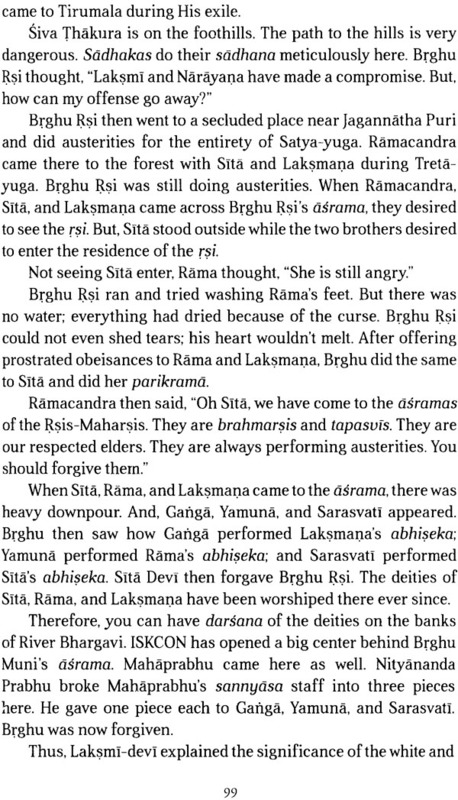 Accompanied by Ramananda Raya (Visakha Devi), Svarupa Damodara (Lalita Devi), Rupa Manjari, Rati Manjari, Lavanga Manjari, Vilasa Manjari, Ananga Manjari, Kasturi Manjari and all others, He continously served Srimati Radharani. He also destributed this training to others. 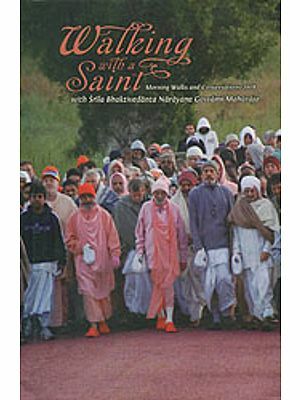 Seva Kunja is a training center where these teachings are continously being taught. Guru-pada-padma has manifested this center everwhere across the world. Under the guidence of Vinoda Manjari, he is fulfilling the desire of Kesava deva and Visakha devi. He is distributing the glories of Srngara-vata, Bhandirvata, Javata, Vamsivata, and Vrndavana everywhere. 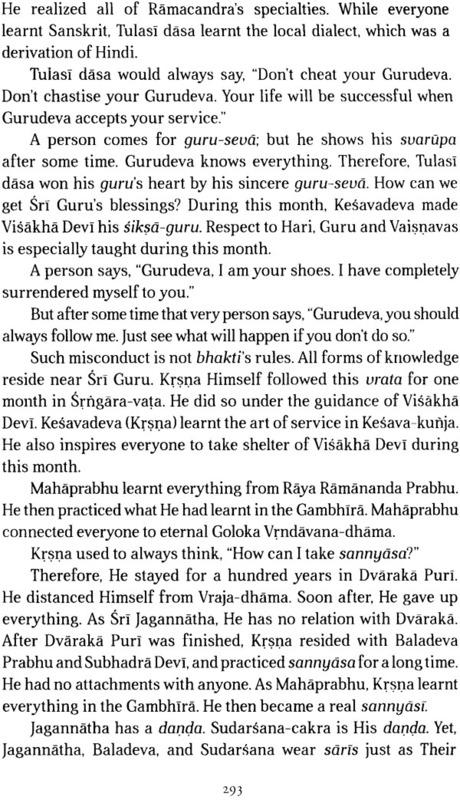 He is teaching others how to follow Kesava-vrata. 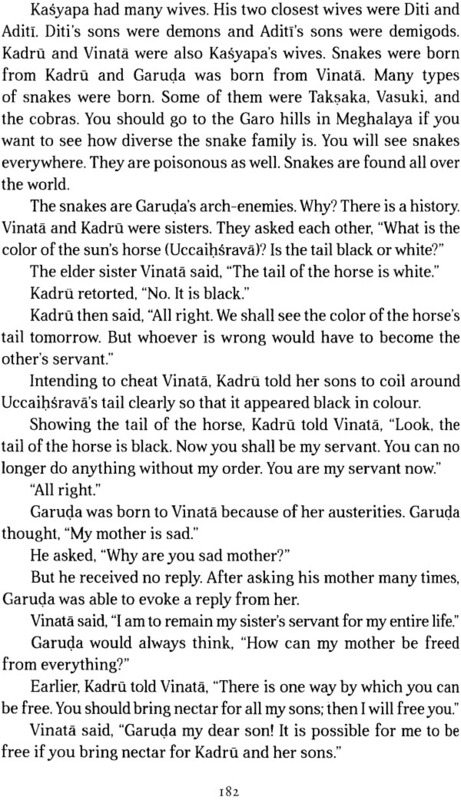 Lord Kesava is always happy with that person who follows this vrata. Such a person will quickly attain the foot dust of Srimati Radharani. Radhika will give her own shelter and mercy to that person. Anyone who stricly and sincerely follows this vrata will definitely get manjari-bhava and unnatojjvala-rasa and will become qualified to please Srimati Radharani and Natavara Syamasundara. This Kesava-vrata scripture has manifested from the classes of Guru-pada-padma and by the mercy of the Vraja-devis. It does not come from any mundane person. 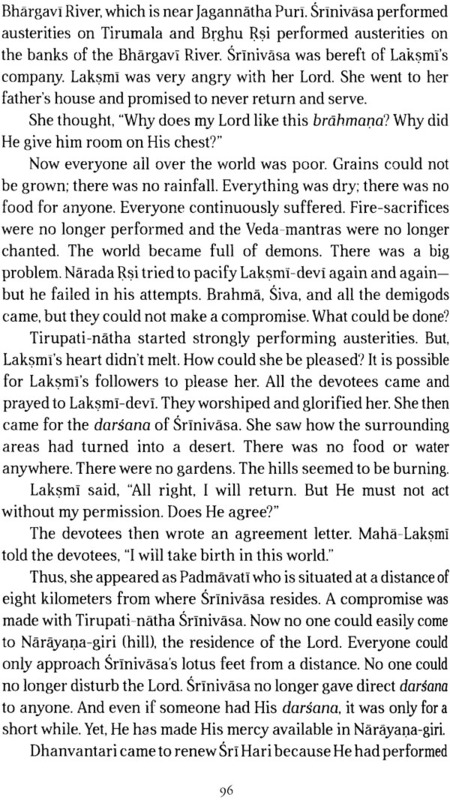 This truly is the causeless mercy of Kesavadeva, the Guru parampara and the Vaisnavas. And it is their own property that they are giving.